I can't help you there, or any other who get the same problem. I don't know what the problem is. do you have all this in the universe catalog? 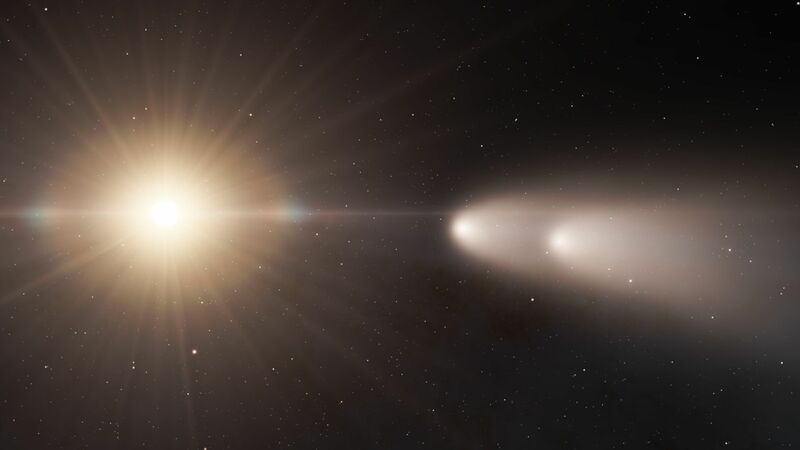 Guys found the problem it's not "catalogs/planets/BoliveriusAlveraPlanets.sc"
I see it now, thanks for discovering it. so there is 5 planets? 4 in on system and another one in f? 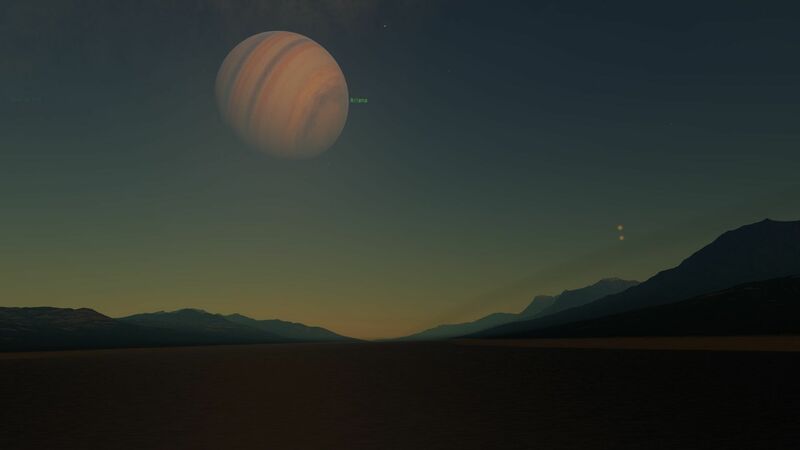 3 of the planets with life looks beautiful but they looks almost same planet. All of those planets are still "work in progress" mode. 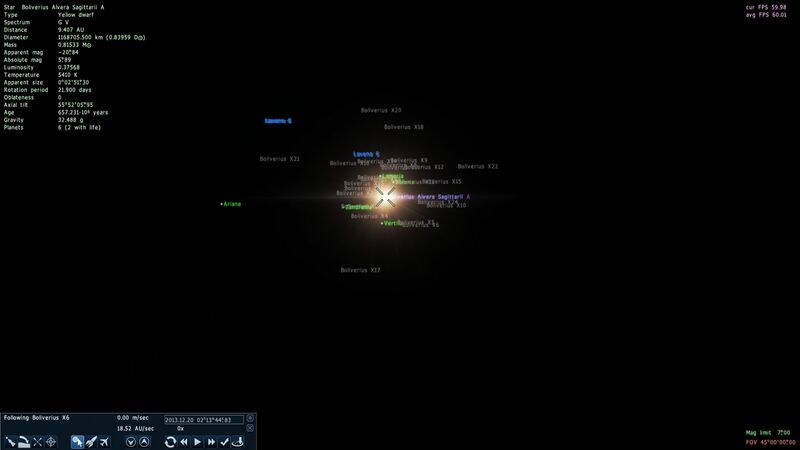 A view from the old homeworld to the Alverians. 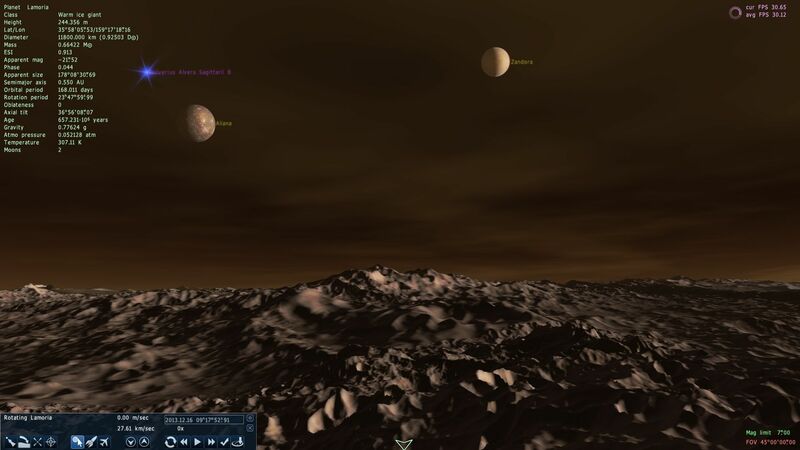 Currently, Alveria has only one moon in orbit, while the other one were destroyed and sent away towards interstellar space. The Cronosians caused it. Half the size of the moon Karuna impacted Alveria and formed a ring of debris around. The rest is still in orbit. After the old homeworld to the Alverians were completely destroyed by the Cronosians, the Cronosians also destroyed Alveria's two moons. 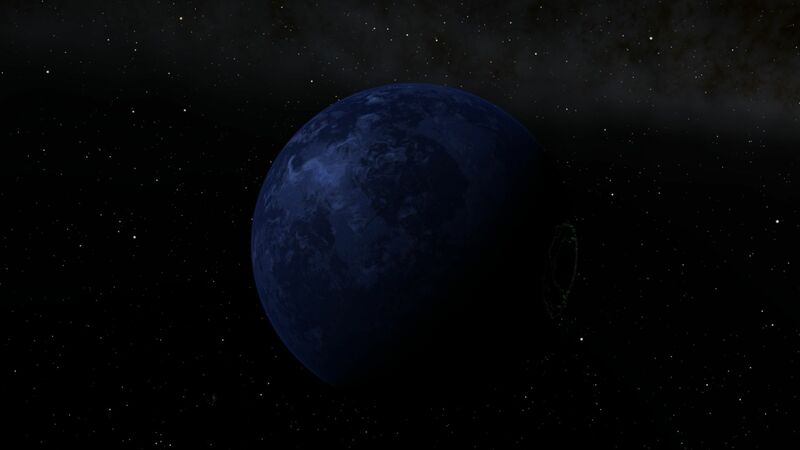 The largest moon, Karuna, were destroyed in half where one half of it, impacted Alveria, while the other is still in orbit, but it has a very high eccentric orbit. 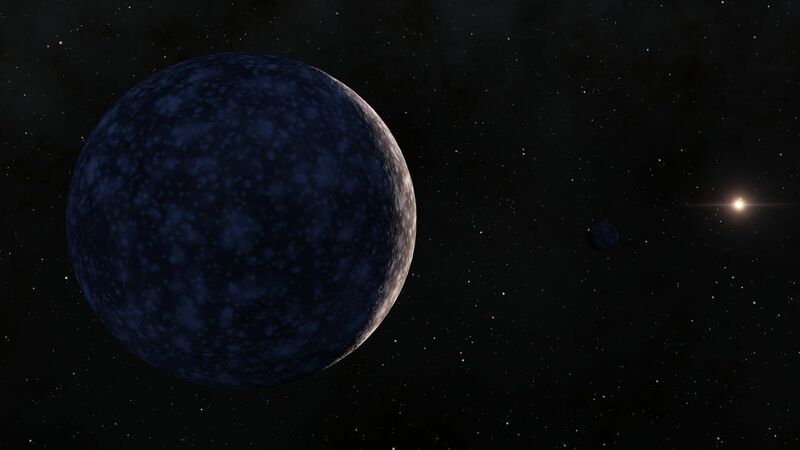 The other moon, were sent away from Alveria and is heading towards interstellar space, about to leave the Alvera System. As known, over 5 billion Alverians were killed in the attack. The event happened around 1200 years ago, a millenia ago. 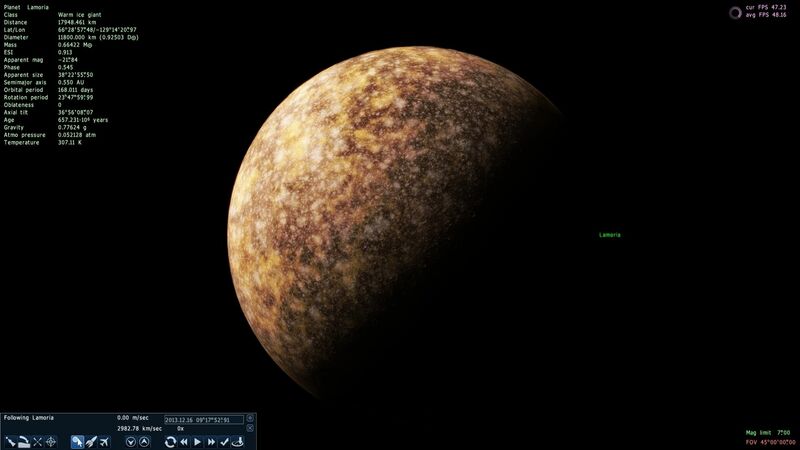 I have now added a new planet, part of the Boliverius Alvera System. 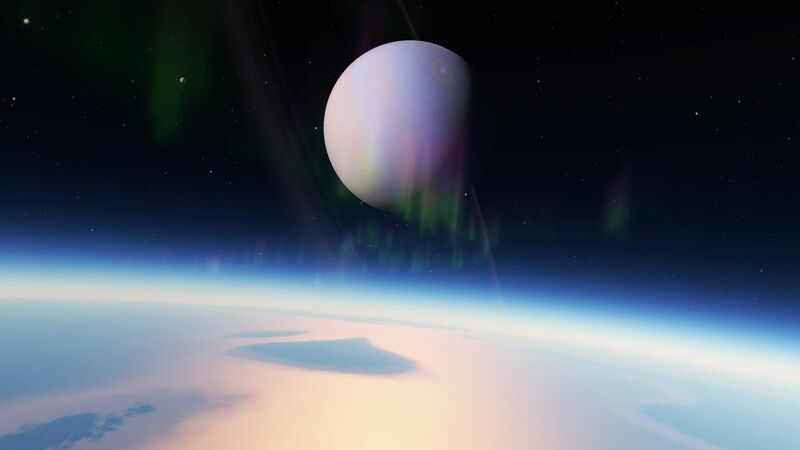 This planet is called Lamoria, an ice giant with two moons, called Aliana and Zandora. Asteroid-belt added to the system. 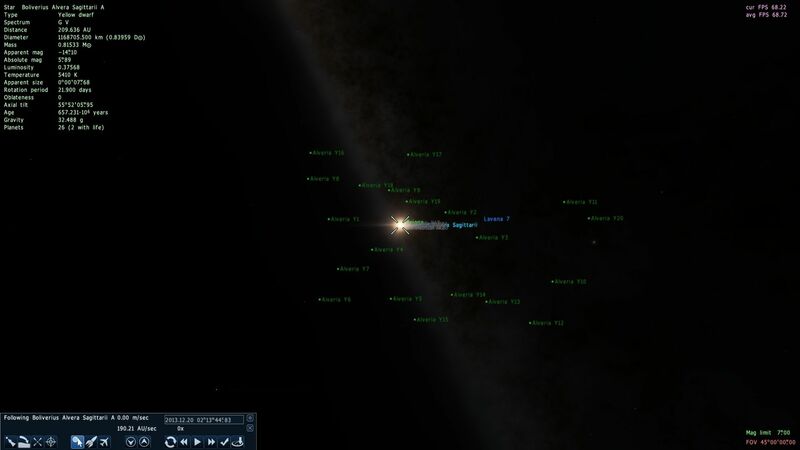 There are 25 asteroids in the list. Next is the dwarfplanet-belt, and there are 20 dwarfplanet. Some are in a near orbit, and some in a very distant orbit. The beta version of the addon will be released when i am finished with adding the dwarfplanets. I would like to announce that the new version of this addon will be released now. 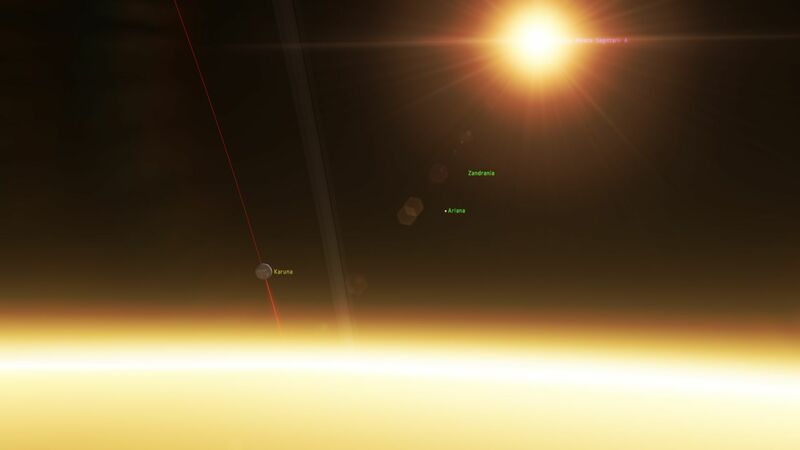 There is a readme file in the addon, so you will know how to add the addon to Space Engine. 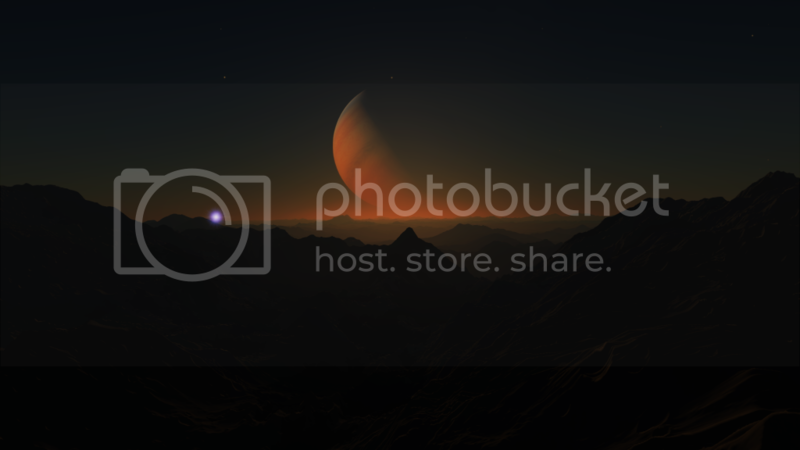 I am now announcing more planets. The beta version of the addon is released, so now i am working on the final version. 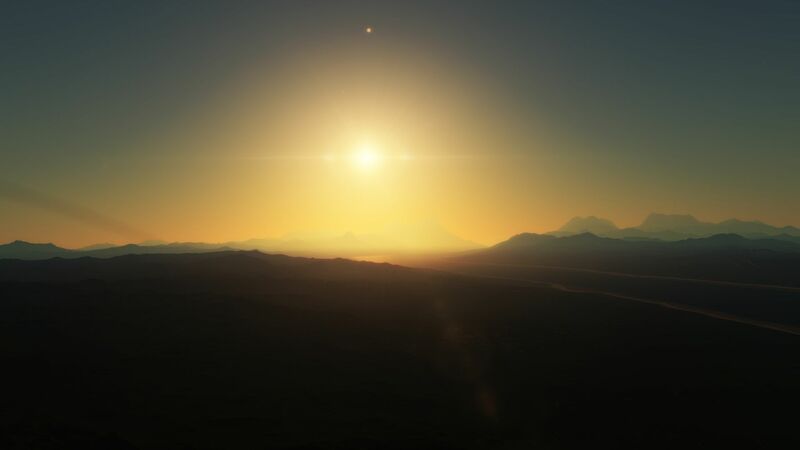 This is Ariana'Zalena, an inhabited planet in the Boliverius Alvera System, 1500 light-years from Earth. On this world there are living refugees from other worlds in the universe. After the Cronosians took control of the Andromeda Galaxy, many other managed to escape, so the Alverians built up habitats on Ariana'Zalena and on it's closest moon Luna Ariana. Several bases are spread across on Luna Ariana. 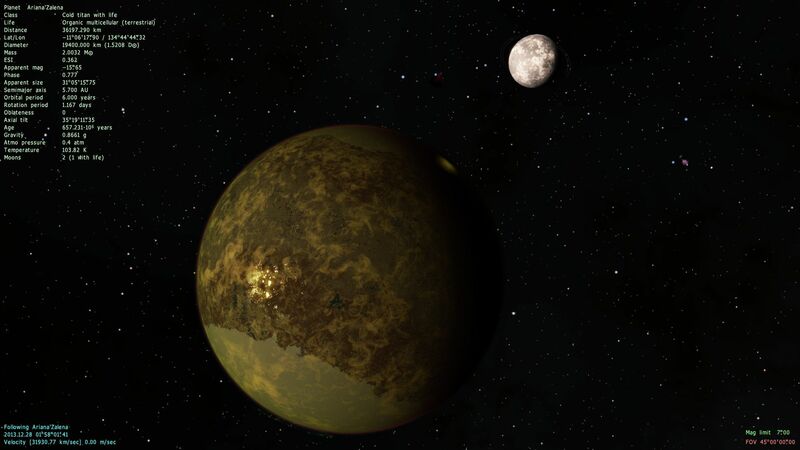 Ariana'Zalena isn't habitable, but it is inhabited. There are currently around 12 million refugees on Ariana'Zalena and on Luna Ariana there is around 1 million refugees. 3. Complete the comet catalogue. 2. All planets added. 2 planets remains for adding moons. When this is finished, the full version of the addon will be released. 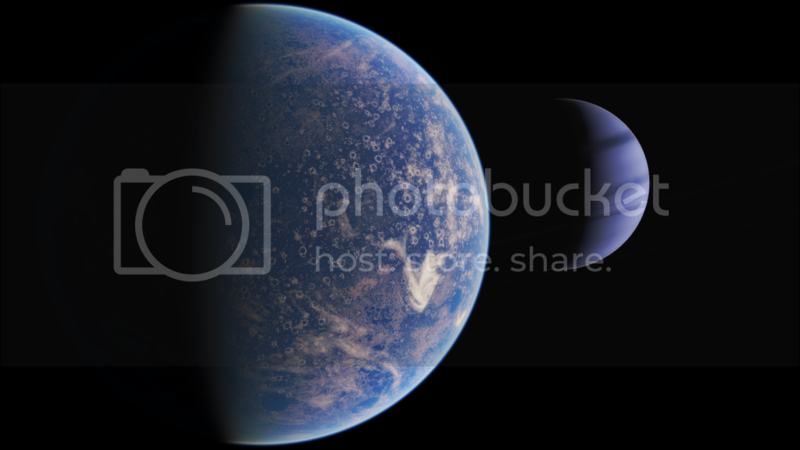 Okay, I am not still finished with all the planets to the addon, here is an another one I have just added. 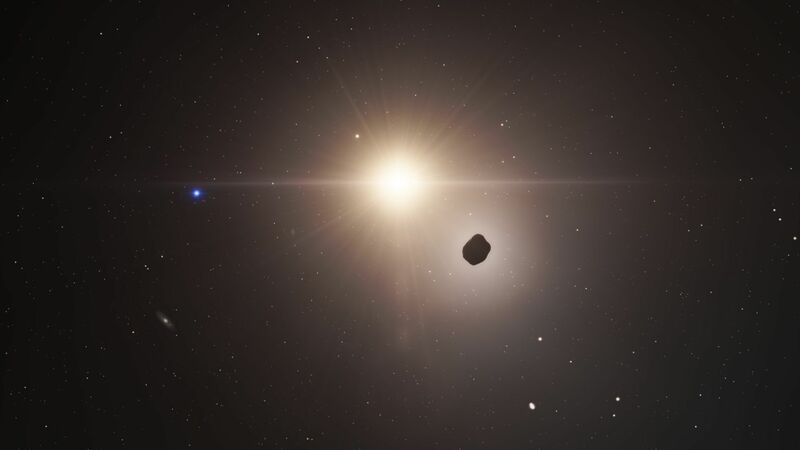 This is Luma Boliverius, a frigid cold ice-planet located around a blue hypergiant star called Boliverius Alvera D. This star is separated 8 light-years from the main star, Boliverius Alvera A. There is located a science research facility outpost on Luma Boliverius, owned by the Alverian civilization, who is living around the A star. The temperature falls down to -121ºF on the night, and -13ºF at the warmest on the average day-temperature. There are 1200 scientists working at the science facility, and they are the only population of Luma Boliverius.